This book directly addresses the major planning debate of our time - the delivery and quality of new housing development. As pressure for new housing development in England increases, a widespread desire to improve the design of the resulting residential environments becomes evermore apparent with increasing condemnation of the standard products of the volume housebuilders. In recent years central government has come to accept the need to deliver higher quality living environments, and the important role of the planning system in helping to raise design standards. 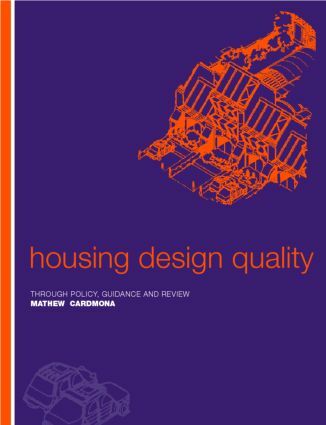 Housing Design Quality focuses on this role and in particular on how the various policy instruments available to public authorities can be used in a positive manner to deliver higher quality residential developments.